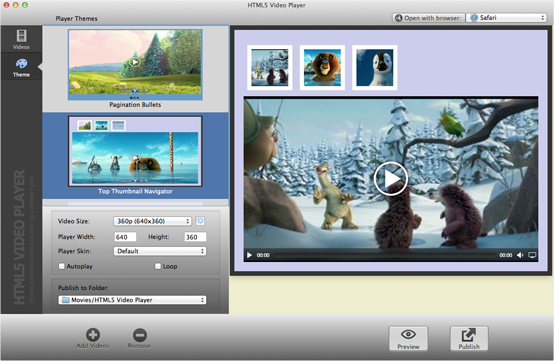 HTML5 Video Player software comes with powerful HTML5 converting, editing and embedding features. 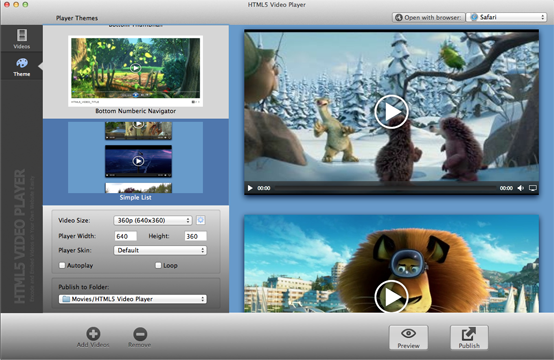 It is the easiest solution for you to convert and publish HTML5 videos onto your own websites. 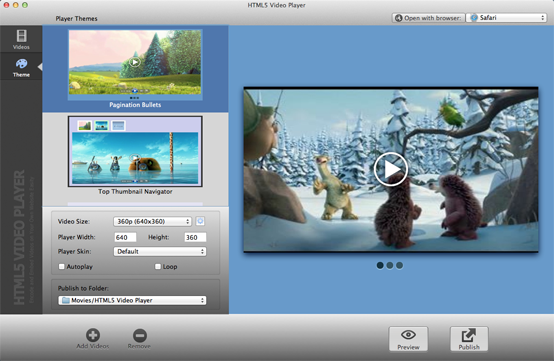 HTML5 Video Player Templates Showcase here! 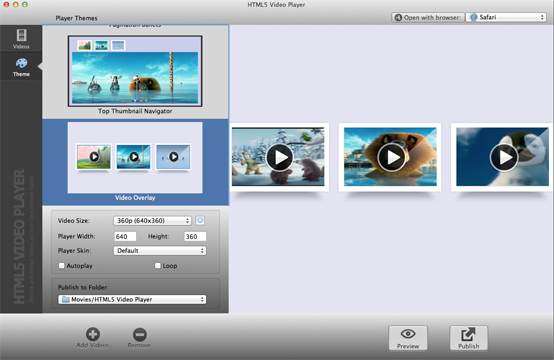 HTML5 Video Player works as easy as 1-2-3. You just need to add your source video files, pick up a player theme then the web page with your video player embedded is ready for you to upload and publish. 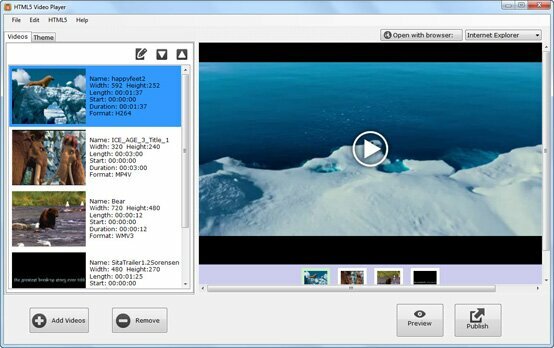 Encode Video to HTML5 Video Format. 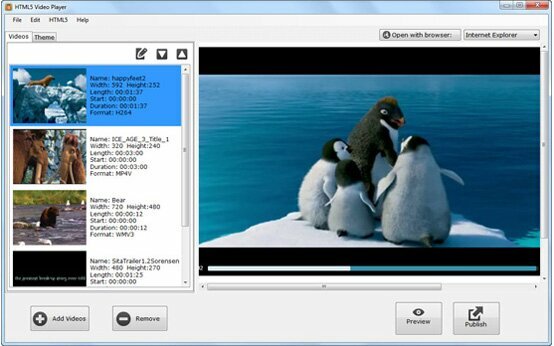 Encode your video to MP4, webm, ogv video format in a batch mode, you just need to add your video files and the HTML5 Video Player will convert them to the HTML5 compatible video format. The beautiful video player skin makes your website looks the same on all website browser: Safari, Firefox, IE8/IE9, Google chrome, Opera and iPad/iPhone/Android mobile browsers. 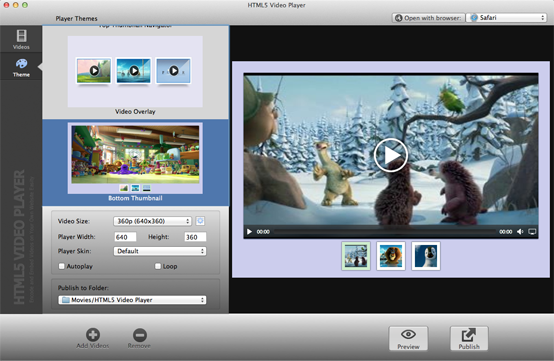 All iOS/ Android/ Windows Mobile web browsers are supported by HTML5 Video Player software which will makes your video play on all target devices.